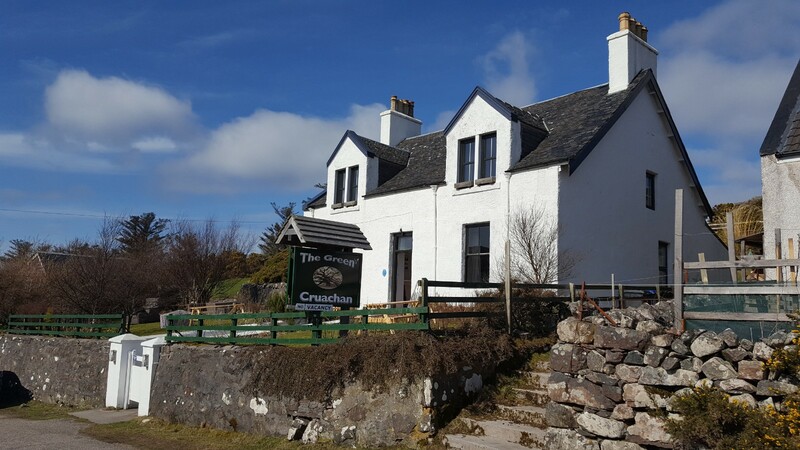 Bed & Breakfast The Green Cruachan is located in Stoer (Assynt), 8 miles North of Lochinver, in the North West Highlands of Scotland directly located on the populair tourist route, The North Coast 500 (NC500). We are Dog Friendly and your dog stays for free, but please let us know in advance. 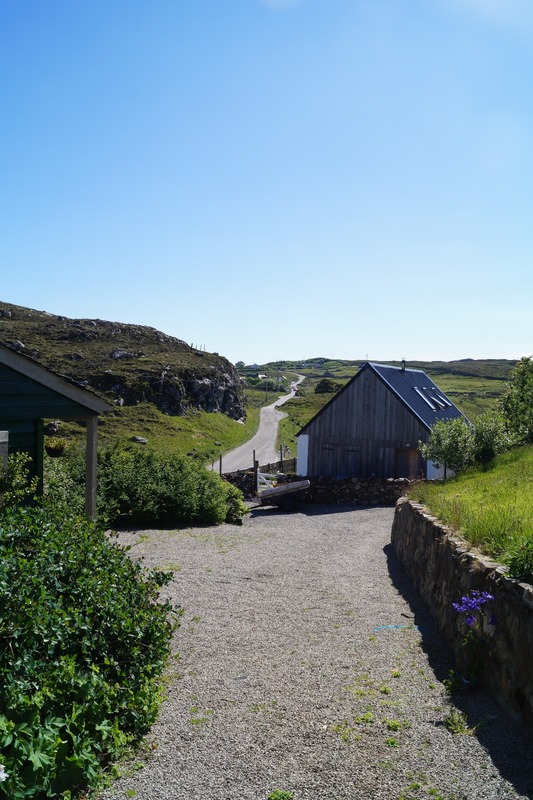 Our informal guesthouse is located in a quiet and rural environment, but nevertheless, the capital of the Highlands (Inverness), can be reached in 2.5 hours. 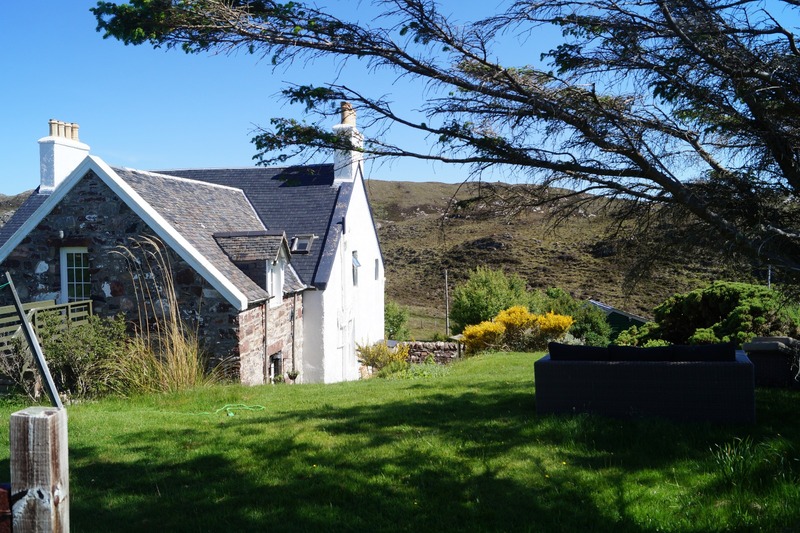 The B&B, a former manse, is now a comfortable four-bedroom guesthouse. 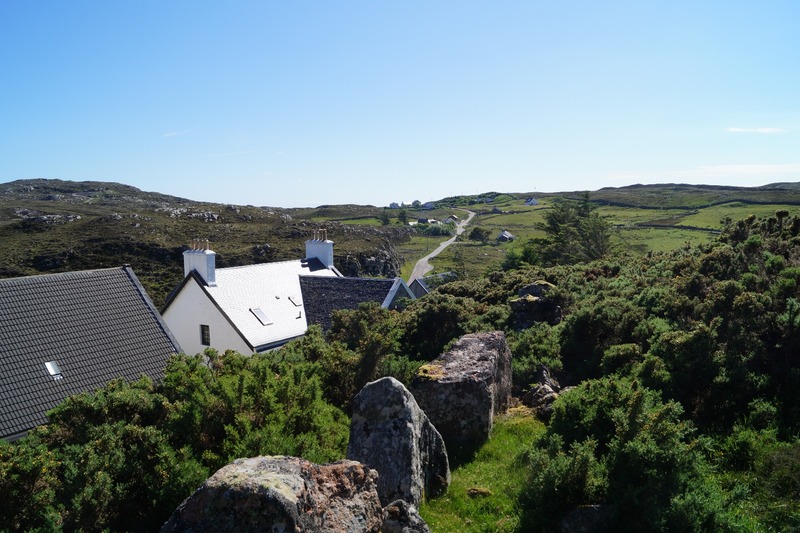 Each room is individual, and has been tastefully refurbished to reflect the Scottish style. 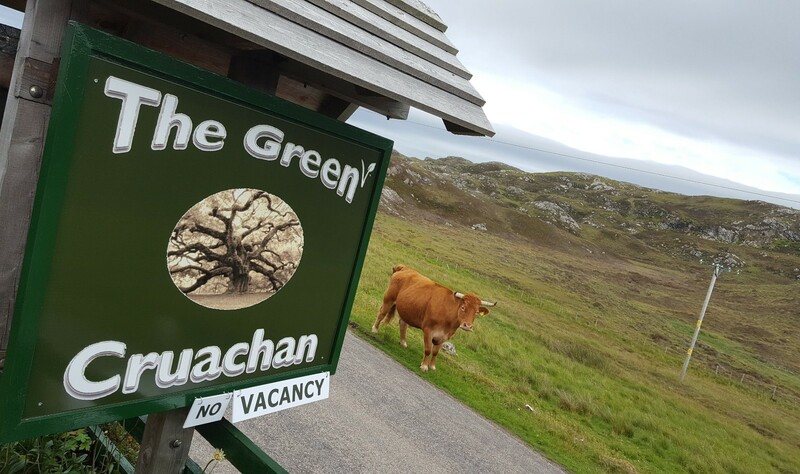 All bedrooms have en-suite bathrooms, and have the usual facilities, like coffee and tea, free WiFi in all the rooms and a television. Our breakfast is completely vegetarian and is served as a buffet with the best local produce available. A maximum of two people can sleep in our rooms and we accommodate guests older than 18. We have a cosy residents lounge with a fireplace, where you can relax after a lovely walk or drive along the North Coast 500. Our check in time is between 4pm and 8pm, outside these times we may not be there. At our Guesthouse we serve a Simple Vegetarian Fixed Menu (Two Course Menu & Coffee/Tea) at 6.30pm, please let us know in advance if you want to join. 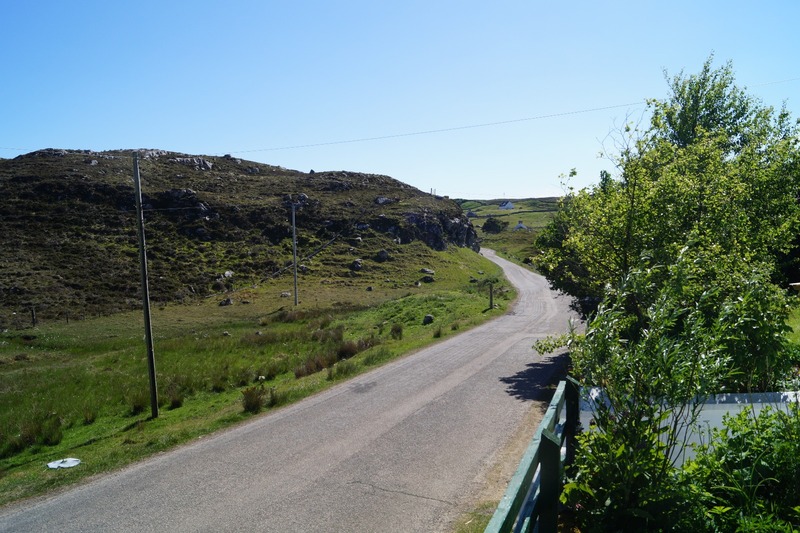 Alternatively you can have diner at Kylesku Hotel (20 miles North of our B&B) or at Peet's Restaurant in Lochinver (7 miles South of our B&B), but please bear in mind that during the summer months it can be very busy, so we highly recommend that you make a reservation. We can provide you with crockery, cutlery and glasses if you wish to bring your own drinks and food, but please bear in mind that there is no kitchen available to prepare a hot meal.